In response to a growing need and continuous improvement at Cultural Synergies we are now accredited to deliver Cultural Intelligence Assessments. I spent some time in Kuala Lumpur earlier this month with the Cultural Intelligence Centre team and its founder, David Livermore, while participating in their certification program. To give you a bit of background, the cultural intelligence scale was developed to test and validate Earley and Ang�s (2003) conceptualisation of cultural intelligence; it is the only evidence-based and validated CQ Assessment tool that exists. It measures four primary factors that represent distinct CQ capabilities: CQ Drive, CQ Knowledge, CQ Strategy, and CQ Action. Both the Multi-Rater and Team Assessments are 360� assessments that provide accurate results and feedback on CQ by combining the self-assessment with observer-assessments. Participants and their observers complete online surveys and participants receive a 22-page personalised feedback report. The Self-Assessment requires participants to complete an online survey, the result is a 16-page feedback report that includes a personalised development plan for enhancing CQ. 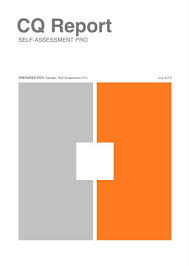 The assessments are an excellent resource for global leaders, expatriates, virtual teams and organisations expanding into new markets and evaluating their success in current markets by assessing cross-cultural adaptability, judgment and decision-making, negotiation and strategic leadership across cultures. The feedback reports identify strengths and developmental opportunities to support effective performance in cross-cultural and virtual settings. The reports can be both individual and group based. We are excited to offer our clients this additional resource for measuring and improving the cultural intelligence of individuals, teams and their wider organisations. These assessments are an excellent means for capturing current CQ and identifying opportunities for further targeted improvement in cultural agility. We are always interested in your feedback so please let us know if you have any! Amongst other things this is an easy to read, well-structured book. It consists of 3 parts � what is CQ and why do I need it, how do I become more culturally intelligent and how do I apply CQ? Rooted in research across 25 countries the book offers a 4 step approach that can be applied to any cross-cultural situation. If time is not on your side it is easy to jump around and understand the gist of the model by reading the shaded, summary areas. 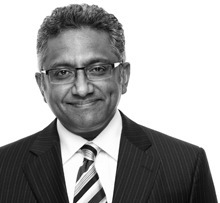 It is a guide to how leaders can connect across any cultural divide that includes national, ethnic, and organisational cultures. The book includes research data and lived stories that demonstrate best practices and strategies for working and leading effectively across cultures. Leading with Cultural Intelligence was named a best-seller in business by The Washington Post and a revised edition will be released in April 2015.
" 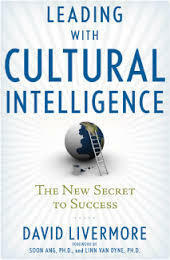 Leading with Cultural Intelligence: The New Secret to Success" By David Livermore (2009).